Three Recent Books on Disability, Aesthetics, Art and Film. Three releases around the body, from three different perspectives. 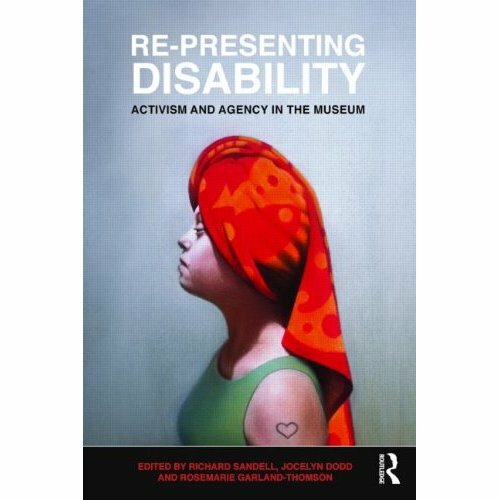 In the first one, “Re-Presenting Disability: Activism and Agency in the Museum”, the Editors Richard Sandell, Jocelyn Dodd and Rosemarie Garland-Thomson broach the issue surrounding disability representation in museums and galleries. Twenty researchers, practitioners and academics from different disciplinary, institutional and cultural contexts seperately explore issues surrounding the cultural representation of disabled people and, more particularly, the inclusion (as well as the marked absence) of disability-related narratives in museum and gallery displays. The publisher describes this volume as of provocative and timely contributions. The diverse perspectives featured in the book offer “fresh ways of interrogating and understanding contemporary representational practices as well as illuminating existing, related debates concerning identity politics, social agency and organisational purposes and responsibilities, which have considerable currency within museums and museum studies”. Some of the issues explored in the books are about historical representations in the collections and displays of museums and galleries, and the questions of how newly emerging representational forms and practices can be viewed in relation to these historical approaches. Furthermore it discusses emerging trends in museum practice – designed to counter prejudiced, stereotypical representations of disabled people – relate to broader developments in disability rights, debates in disability studies, as well as shifting interpretive practices in public history and mass media. Later on, it is being discussed what approaches can be deployed to mine and interrogate existing collections in order to investigate histories of disability and disabled people and to identify material evidence that might be marshalled to play a part in countering prejudice. From a practioner’s point of view, it is asked how such purposive displays might be created and what dilemmas and challenges are curators, educators, designers and other actors in the exhibition-making process, likely to encounter along the way. Last but not least – concerning the audiences – disabled and non-disabled – it discusses reasons, chances, challenges and barriers to respond to and engage with interpretive interventions designed to confront, undercut or reshape dominant regimes of representation that underpin and inform contemporary attitudes to disability. In the second Book, “Disability Aesthetics (Corporealities: Discourses of Disability” Tobin Siebers effectively complements and expands on themes in his recent book Disability Theory. As already described earlier on DESIGNABILITIES.org, Disability Aesthetics is the an attempt to theorize the representation of disability invisual culture and (not only modern) art. It claims that “the modern in art is perceived as disability, and that disability is evolving into an aesthetic value in itself” (publisher). Siebers has already described in earlier publications (e.g. “What Disability Studies can learn from the Cultural Wars”, or “Zerbrochene Schönheit”) that the essential arguments at the heart of the American culture wars in the late twentieth century involved the rejection of disability both by targeting certain artworks as “sick” and by characterizing these artworks as representative of a sick culture. This book now also tracks the seminal role of National Socialism in perceiving the powerful connection between modern art and disability. “It probes a variety of central aesthetic questions, producing a new understanding of art vandalism, an argument about the centrality of wounded bodies to global communication, and a systematic reading of the use put to aesthetics to justify the oppression of disabled people”. Siebers illustrates the crucial roles that the disabled mind and disabled body have played in the evolution of modern aesthetics, unveiling disability as a unique resource discovered by modern art and then embraced by it as a defining concept. 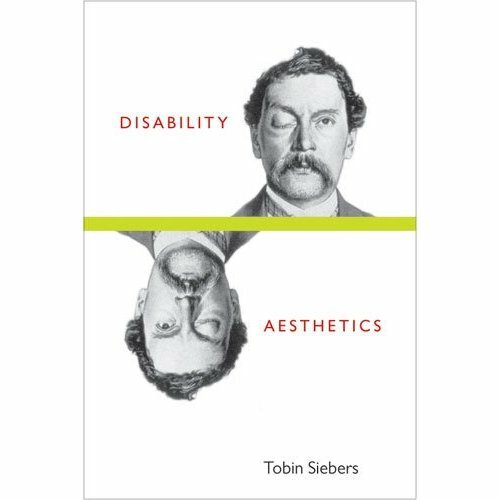 Altogether, Siebers summarizes many of his interesting thouhgts on the field of disability aesthetics, and gives an enlightning overview about this critical concept that seeks to emphasize the presence of disability in the tradition of aesthetic representation. The Problem Body: Projecting Disability on Film. 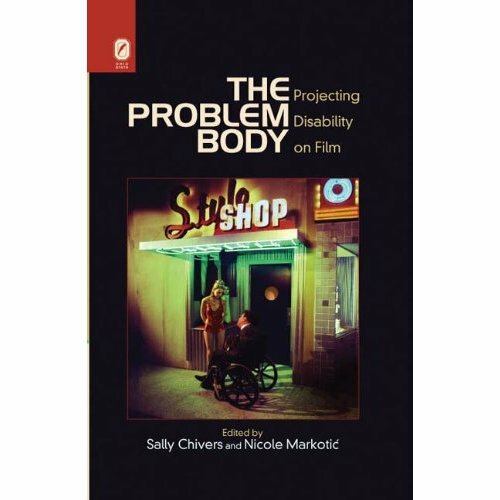 Introductorily Chivers and Markotic’s draw on disability theory and a range of cinematic examples to explain the term “problem body” in relation to its projection. In explorations of film noir, illness narratives, classical Hollywood film, and French film, the essays reveal the “problem body” as a “multiplication of lived circumstances constructed both physically and socially” (publisher). To call into question why certain bodies invite the label “problem” more frequently than other bodies, the contributors draw on scholarship from feminist, gender, race, queer, class, cultural studies, disability, and film studies arenas. This entry was posted in art, disability aesthetics, Film, Literature, movie. Bookmark the permalink.